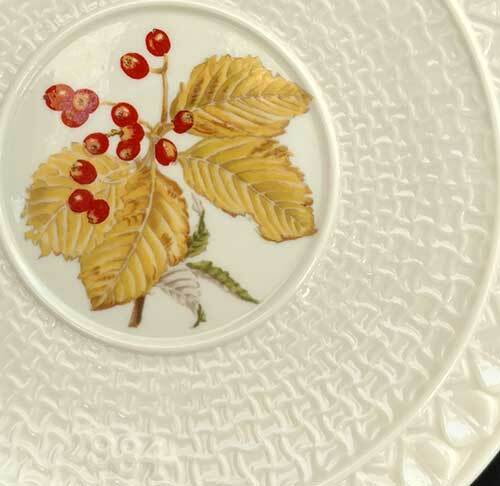 Belleek Christmas plates offer scenes of the season and several of these Belleek China plates are augmented with shamrocks or Celtic knots. 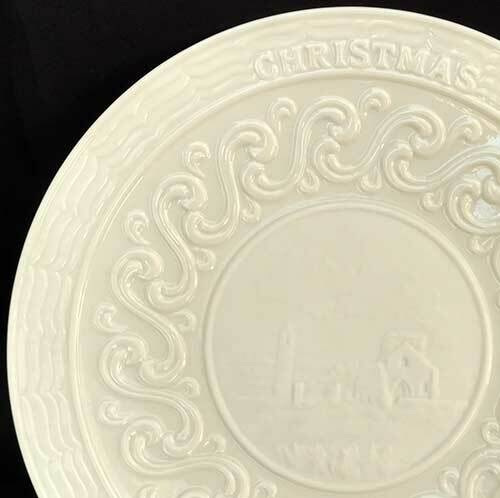 The Belleek Christmas plates at The Irish Gift House had been in the past introduced annually each year, but for now we are limited to the current stock. Belleek Christmas plate for 2007 features the Glendalough Monastery. 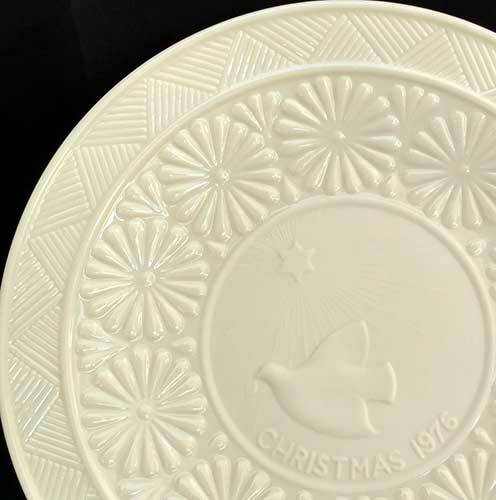 Belleek Christmas plate for 1998 features Mary and Joseph along with embossed Celtic knot-work. 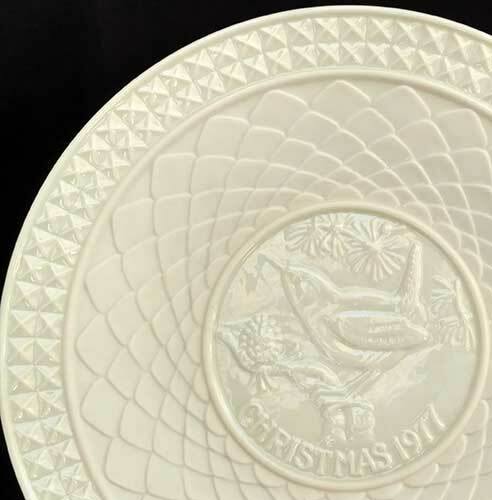 Belleek Christmas plate for 1997 features Mary with an angel along with embossed Celtic knot-work. 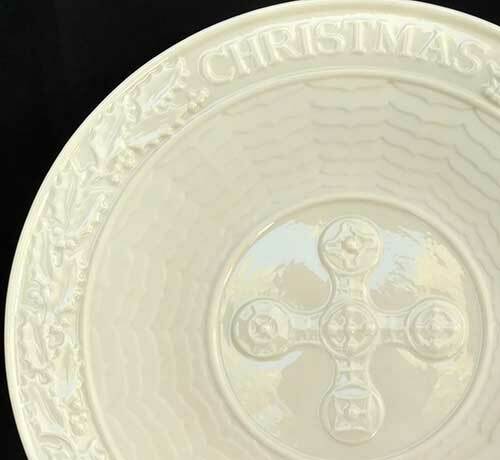 Belleek Christmas plate for 1996 features the Wise Men along with embossed Celtic knot-work. 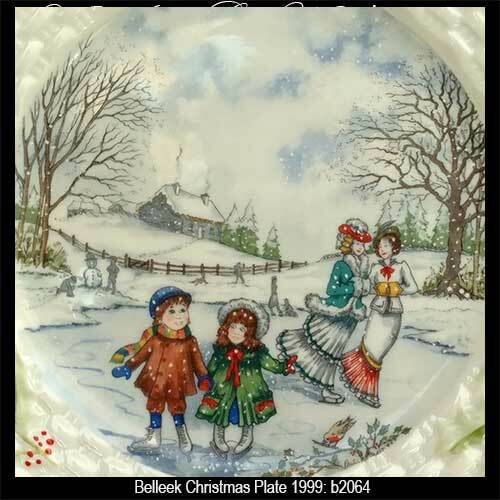 Belleek Christmas plate for 1994 features a holiday scene of ice skaters. 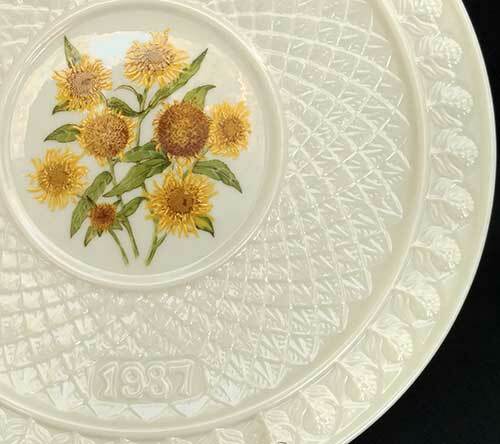 Belleek Christmas plate for 1987 features fleabane daisies along with an embossed motif. 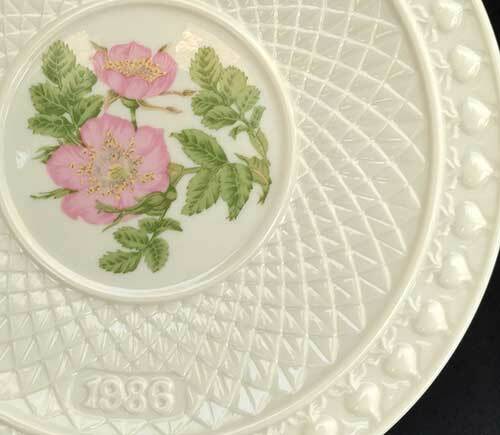 Belleek Christmas plate for 1986 features wild Irish roses along with an embossed motif. 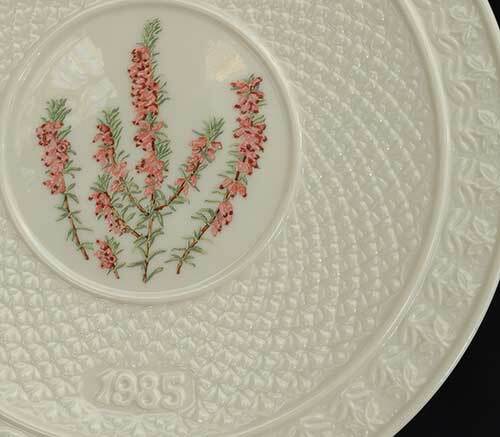 Belleek Christmas plate for 1985 features Irish heather along with an embossed motif. Belleek Christmas plate for 1984 features Irish whitebeam along with an embossed motif. Belleek Christmas plate for 1983 features an embossed motif with a red fox in the center. 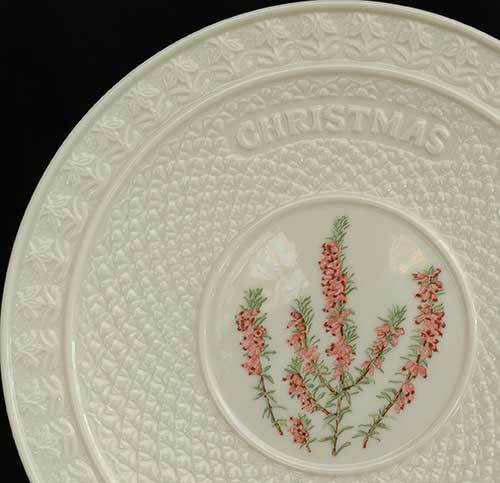 Belleek Christmas plate for 1982 features an embossed motif with an Irish seal in the center. Belleek Christmas plate for 1981 features an embossed motif with the red squirrel in the center. Belleek Christmas plate for 1980 features an embossed motif with a hedgehog in the center. Belleek Christmas plate for 1979 features an embossed motif with a rabbit in the center. Belleek Christmas plate for 1978 features an embossed motif with a salmon in the center. 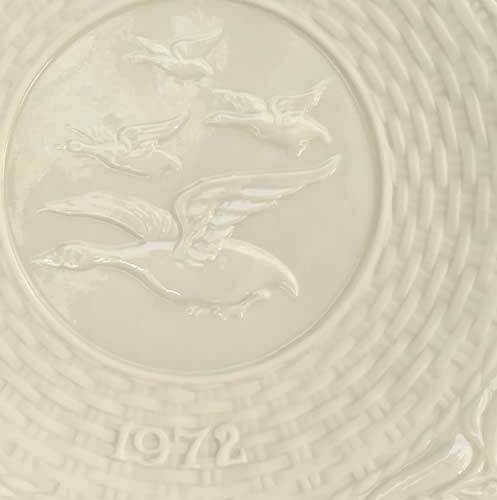 Belleek Christmas plate for 1977 features an embossed motif with the wren in the firs in the center. 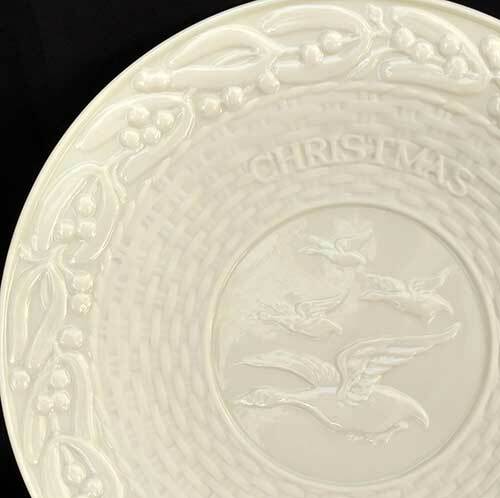 Belleek Christmas plate for 1976 features an embossed motif with a dove in the center. 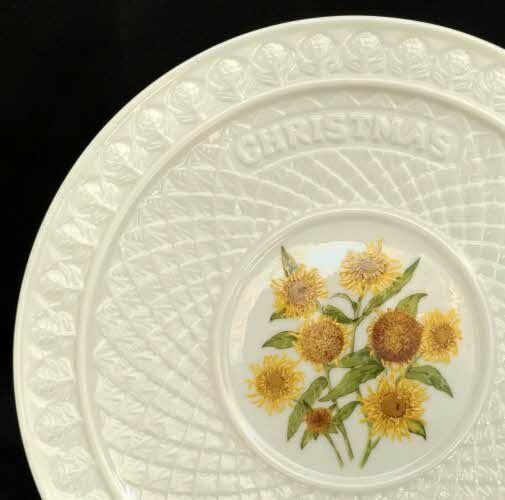 Belleek Christmas plate for 1975 features an embossed motif with a cross in the center. 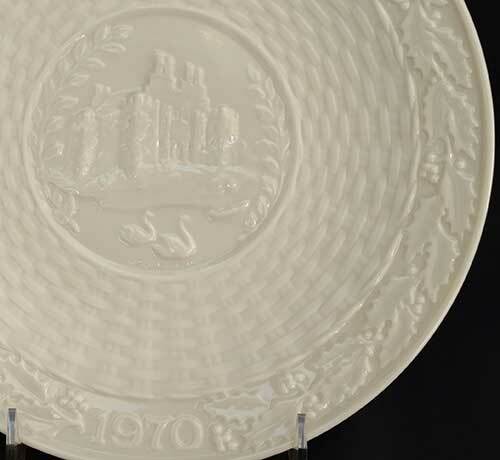 Belleek Christmas plate for 1974 features an embossed motif with the monastic ruins on Devenish Island in the center. 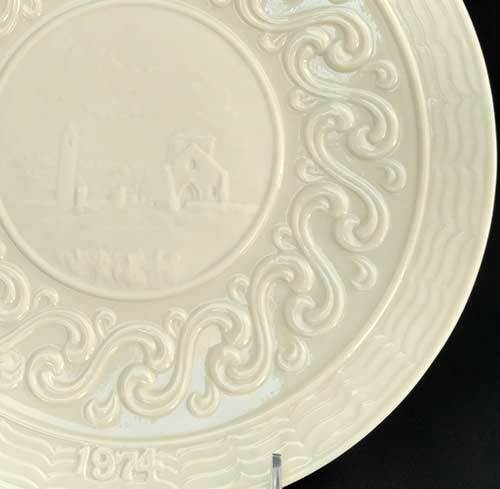 Belleek Christmas plate for 1973 features an embossed motif with a tribute to W.B. Yeats in the center. 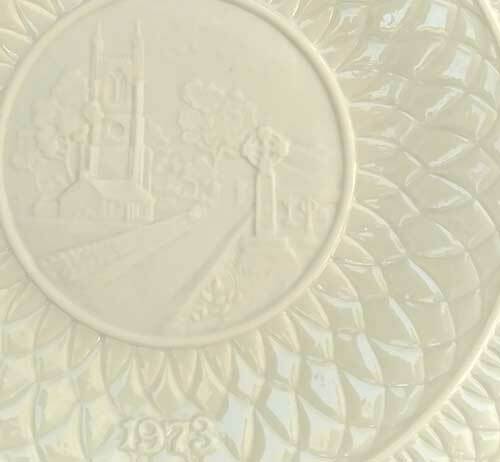 Belleek Christmas plate for 1972 features an embossed motif with a tribute to the flight of the Earls in the center. Belleek Christmas plate for 1971 features an embossed motif with a Celtic cross in the center. Belleek Christmas plate for 1970 features an embossed motif with Castle Caldwell in the center. Not to be confused with the plates that are part of our Belleek dinnerware, these Belleek Christmas plates are just some of the available Irish Christmas decorations available at The Irish Gift House. 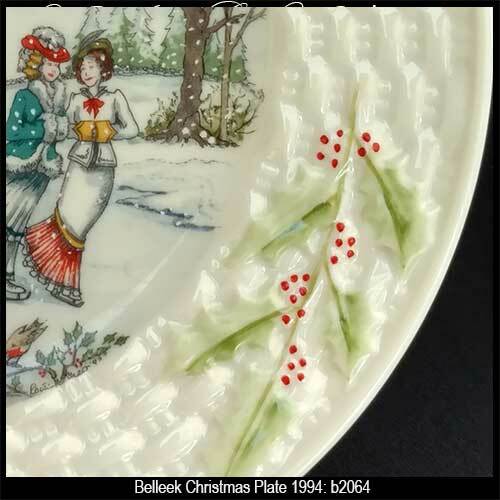 You may also wish to browse our extensive assortment of Belleek ornaments that includes the current pieces and many retired pieces that are otherwise difficult to find. We additionally have several hundred Irish Christmas ornaments that range from the Claddagh to the shamrocks with every Celtic design in between. As long as you looking, please pay a visit to our Irish Santa page where you will find many seasonal figurines and don't miss our Irish angel tree toppers.